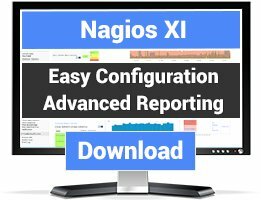 This plugin checks the health of HP Procurve switches via SNMP queries. Many people confirmed that the plugin doesn't work with newer HP firmwares. HP has removed (or obscured) the info about the health status of Procurve switches from SNMP OIDs so, unfortunately, the plugin is to be considered outdated and doesn't work with newer gear. It seems that newer HP firmwares change the OIDs of some switches, by hiding the hardware health status of the components. This unfortunately renders the script useless. If you see that the plugin doesn't work anymore try these commands; they should give the following output. Otherwise it might be that the hardware info is saved elsewhere in the OID or HP decided to totally hide them from SNMP queries, in which case there's nothing I can do to make it work. SNMPv2-SMI::enterprises.11.2.14.11.1.2.6.1.7.1 = STRING: "Fan Sensor"
SNMPv2-SMI::enterprises.11.2.14.11.1.2.6.1.7.2 = STRING: "Power Supply 1 Sensor"
SNMPv2-SMI::enterprises.11.2.14.11.1.2.6.1.7.3 = STRING: "Power Supply 2 Sensor"
SNMPv2-SMI::enterprises.11.2.14.11.1.2.6.1.7.4 = STRING: "Power Supply 3 Sensor"
SNMPv2-SMI::enterprises.11.2.14.11.1.2.6.1.7.5 = STRING: "Power Supply 4 Sensor"
SNMPv2-SMI::enterprises.11.2.14.11.1.2.6.1.7.6 = STRING: "RPS Power Supply Sensor"
SNMPv2-SMI::enterprises.11.2.14.11.1.2.6.1.7.7 = STRING: "Over-temperature Sensor"
SNMPv2-SMI::enterprises.11.2.14.11.1.2.6.1.7.8 = STRING: "External Power Supply 1 Sensor"
SNMPv2-SMI::enterprises.11.2.14.11.1.2.6.1.7.9 = STRING: "External Power Supply 2 Sensor"
and remember to make the file executable. 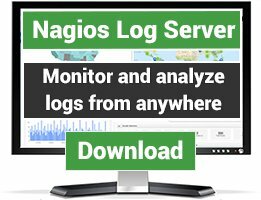 Script works, but Nagios status "unknown"
The script works "HP swtich hardware is OK"
But the status in Nagios is "unknown"
Installed per instructions. 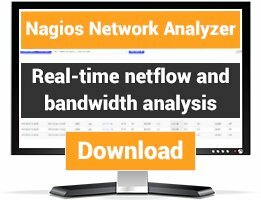 My Procurve 1810G (J9450A) switch reported UNKNOWN. Maybe that model implements a different SNMP OID, unfortunately I don't have one here. Do you have only that switch? In case you can contact me via mail and I can give you a couple of commands to type. Actually you should have done that before rating 1 star. Works right out of the box with 2610-24 and 2510-24. Minor modifications to get this to work on my 2910s.